Timber Processing’s November issue discusses how scanning and optimization technologies continue to make great strides from green end to dry end, on logs and lumber. Thompson Hardwoods’ most recent project has produced lumber gains. Also, Buchanan Lumber has achieved value-sawing flexibility at its hardwood lumber operation in Mobile. Weyerhaeuser Co. is selling its Trus Joist Commercial Div. to Atlas Holdings. The transaction includes manufacturing plants in Chino, Calif.; Hillsboro, Ore.; Delaware, Ohio and Stayton, Ore., and 13 sales and engineering offices. About 428 employees concentrated in the Northwest, Southwest and East serve the business. 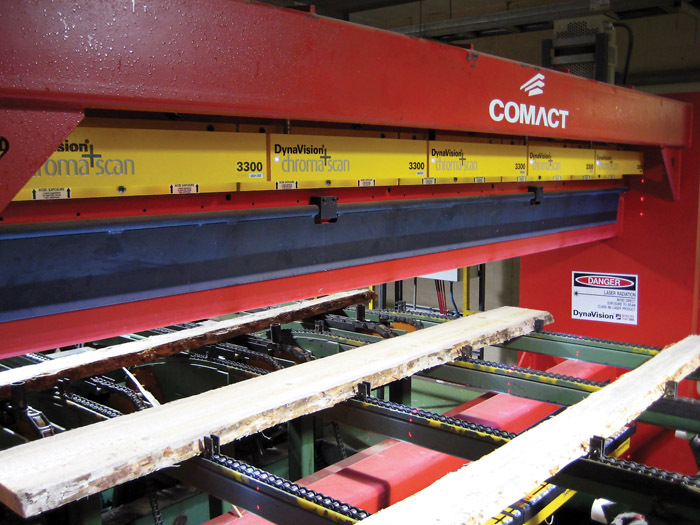 Last fall, Thompson Hardwoods significantly improved yield and production throughput with the startup of a Salem 6 ft. vertical linebar resaw along with a three-saw edger downstream of a circle saw headrig. Owner Steve Johnson reports hourly throughput increased from 5,500 BF to as much as 10MBF. 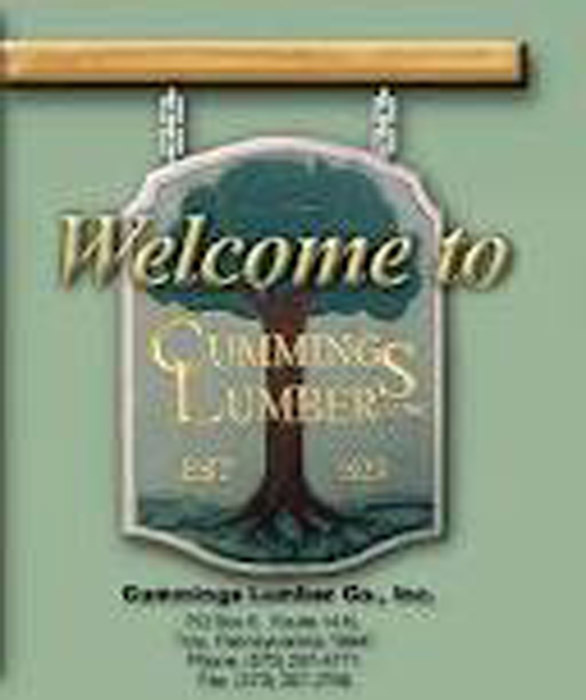 Buchanan Lumber has been successfully producing hardwood products in Alabama for more than 40 years, becoming, in the process, a firm with an international reputation for innovation. In its early years, the company experienced steady growth. 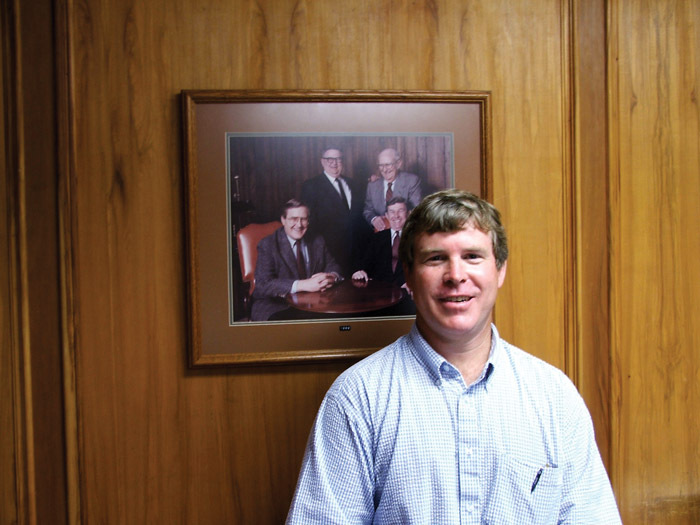 By the early 1980s, the Buchanan holdings included six sawmills producing 70MMBF of lumber annually. 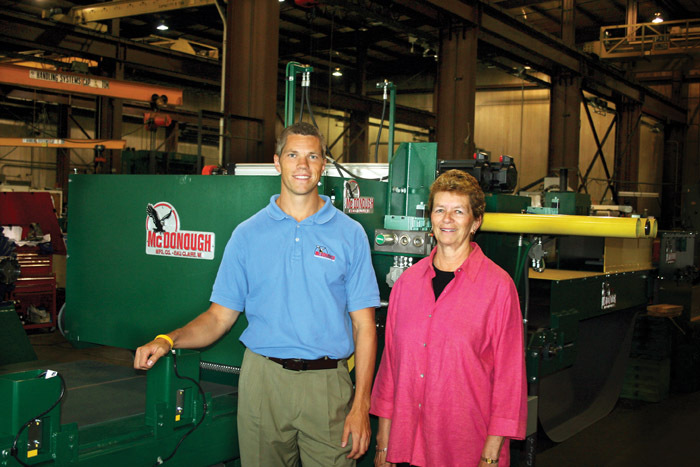 McDonough Manufacturing Co. is celebrating 120 years in business, and the sawmill machinery provider is growing more diverse with age. Best known for many years for its primary breakdown bandmills and band resaws, the company branched into a small log end dogging log feeder (EDLF) in the 1980s, conventional log carriages in the ’90s and most recently introduced an edger division. 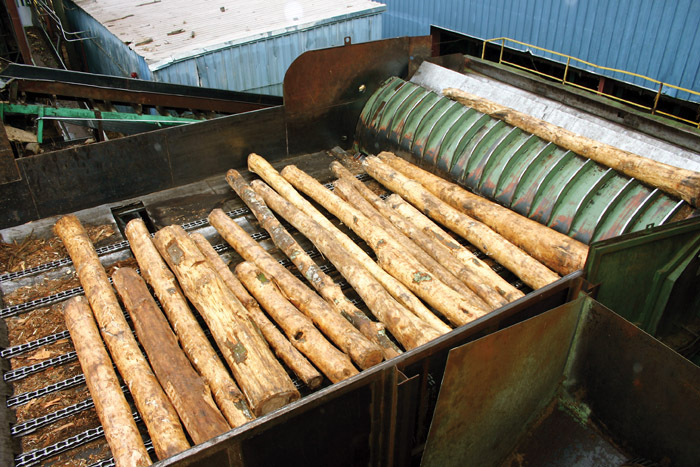 Newnes-McGehee’s Linear High Grader (LHG) offers an easy upgrade path for wood processors who want to reduce labor and improve their mill’s performance, as experienced recently by the Tolko mill in Merritt, BC. 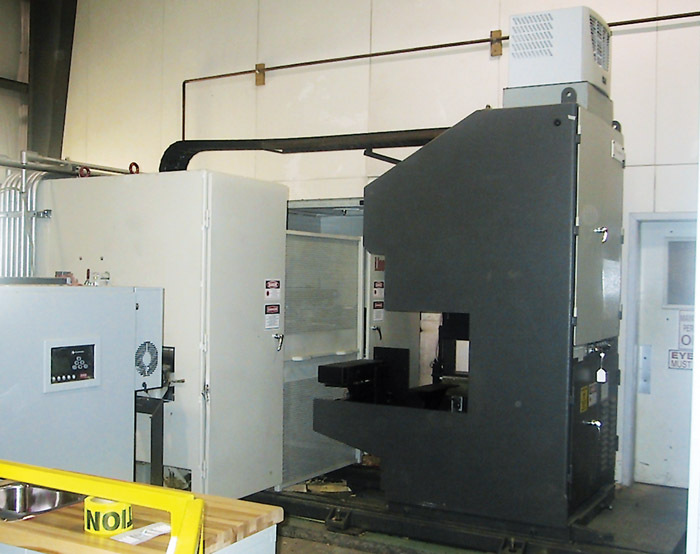 The unit was installed for geometric scanning in October 2004. The mill’s log diet is primarily Western SPF with some green Douglas fir, and runs 8-20 ft. random length product. Cummings Lumber, a hardwood lumber producer in Troy, Pa., has enhanced its log yard handling situation with the operation of a Sennebogen 825 M log handler. Fitted with a Rotobec 4552SHD log grapple, the unit has a dead heel welded to the boom to balance/stabilize the length of the tree in the grapple, and a hitch added to haul equipment in the yard. The 825 M at Cummings Lumber picks up six to eight logs at once and then loads them on to an 85 ft. trough that carries them to the sawmill conveyor. DynaVision chroma+scan 3300 sensor from LMI Technologies, Inc. integrates high-density 3D differential profiles and true color vision to detect various board defects earlier in the production process. By combining these two technologies into a single sensor, the 3300 sensor increases the value of each cutting decision at the edger and trimmer instead of the planer as was done in the past.